Descendent Families of Francisco Xavier Sanchez: YOU are invited to our family reunion on Veteran's Day! YOU are invited to our family reunion on Veteran's Day! WHAT: Family gathering for fun, friendship & learning more about our stories. will tell the stories of how our ancestors first migrated into the Southwest Florida area. The founder of the Francisco Xavier Sanchez Blog, he serves as a member of the board of directors of the Pasco County Genealogy Society, where he chairs the genealogy research committee. He is also a chemistry instructor for Hillsborough Community College. WHEN: Park opens 8am-5pm. Be there for shared lunch & special presentation following! Entrance to the park will be free on Veteran's Day, a Monday, Nov. 11! Those who wish to make a weekend of this opportunity may wish to camp, as this state park includes full camping facilities. 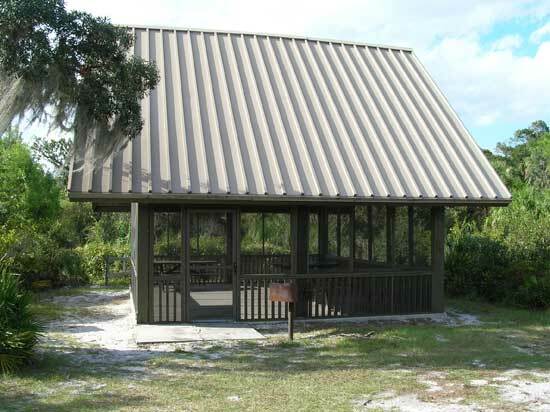 For information about the park itself, contact (850) 245-2157. For more information on the Los Floridanos event, call Tom Santa Cruz at 813-783-2085. PLEASE NOTE: This will be a shared picnic, so please bring enough for yourselves and some to share. There is no organized plan for food, drink or supplies, so we must be self-reliant. Volunteers, however, are welcome to step forward here. Thanks.